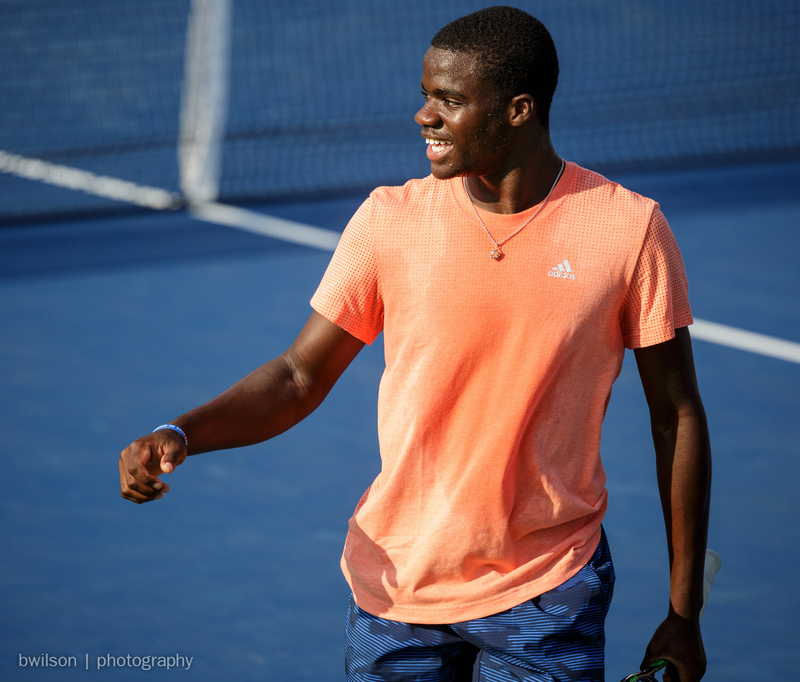 Frances Tiafoe during a practice session at the 2015 US Open. 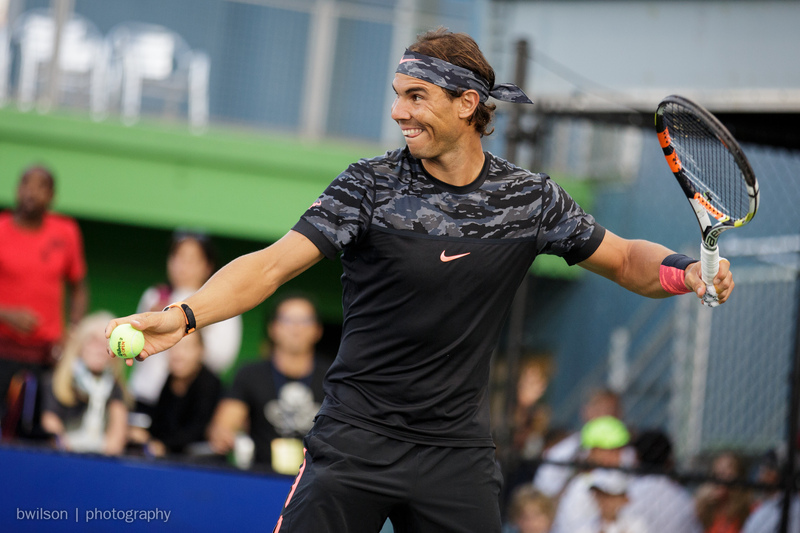 Marin Cilic, a junior tennis player, Roger Federer, Shaun T, Serena Williams and Rafael Nadal take part in Arthur Ashe Kids’ Day at the 2015 US Open. 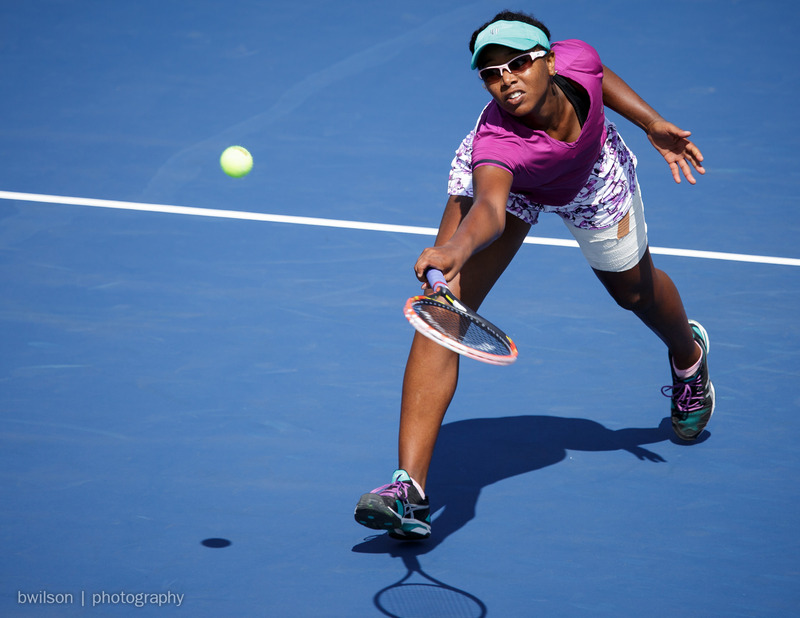 Vicky Duval playing a qualifying match at the 2015 US Open as part of her come back to the tour after successful treatment for Hodgkin’s lymphoma. 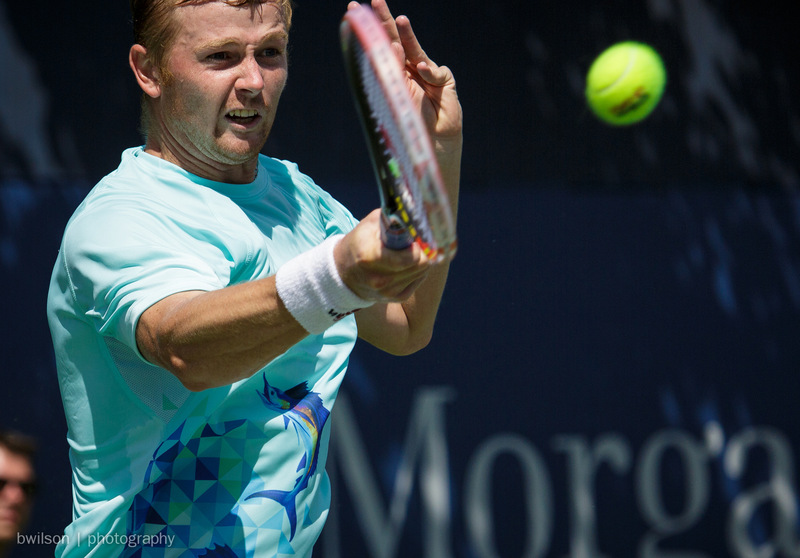 Andrey Golubev hits a forehand during a qualifying match at the 2015 US Open. 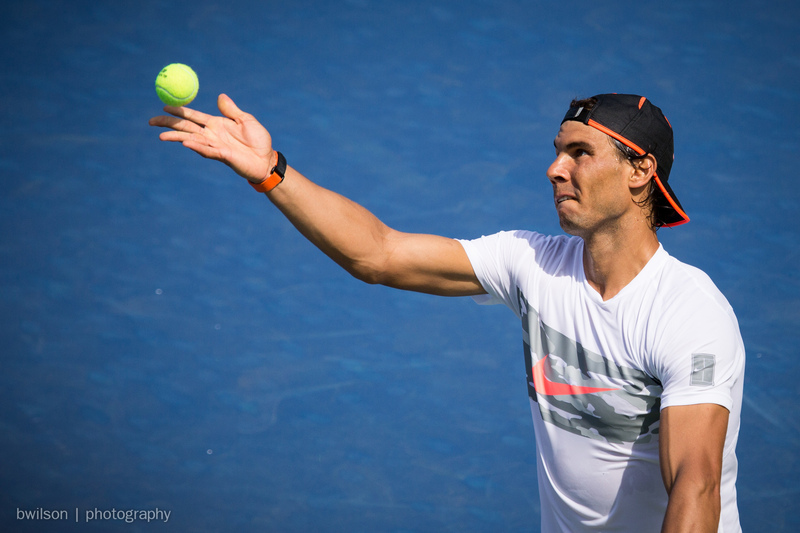 Rafael Nadal practices before the 2015 US Open. 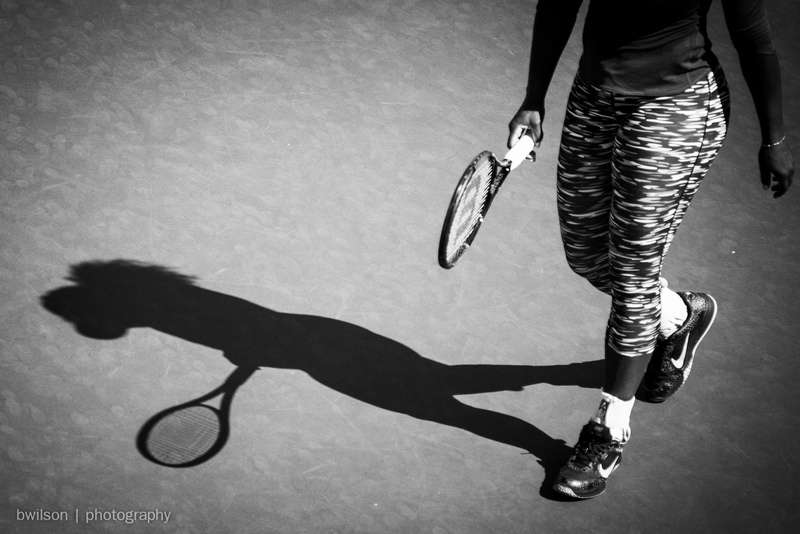 Serena Williams practices before the 2015 US Open. 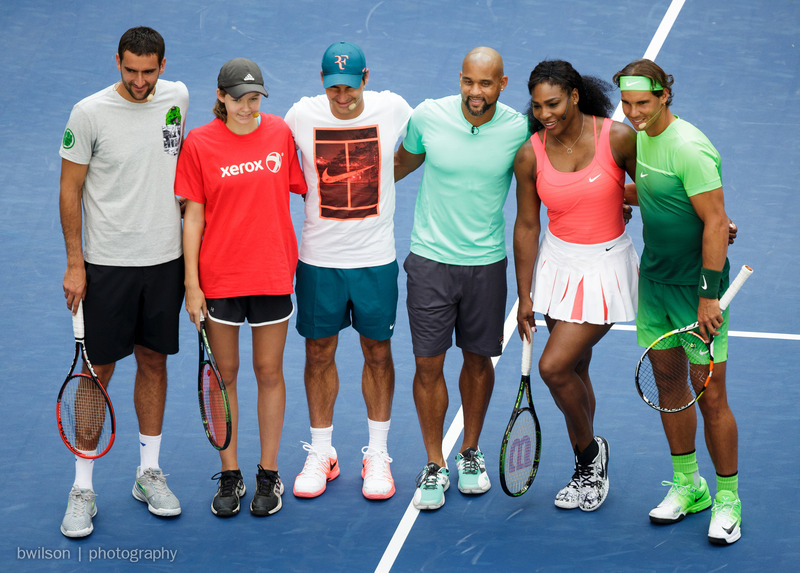 John McEnroe and Nick Kyrgios during a benefit exhibition for the Johnny Mac Tennis Project. 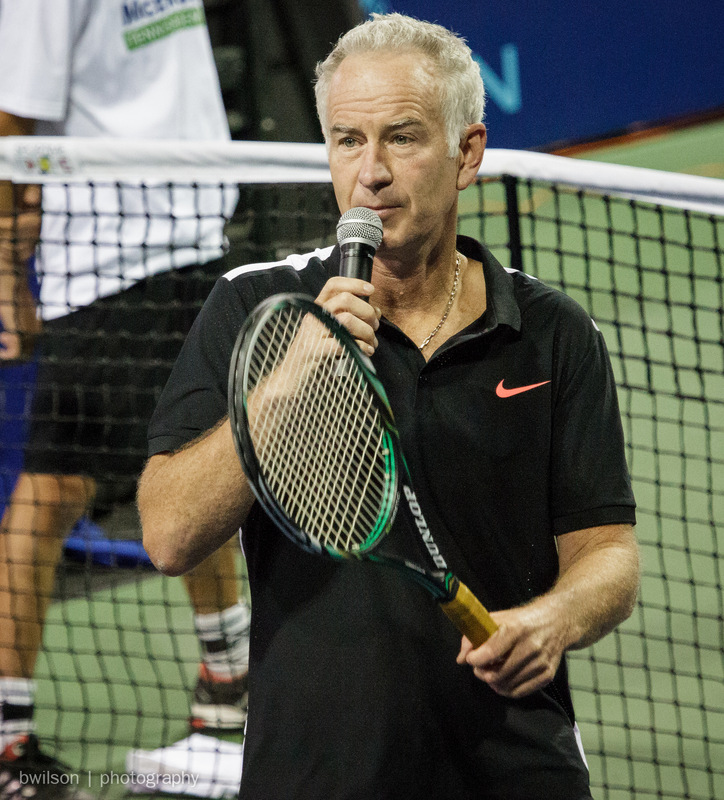 John McEnroe auctions off US Open box seat tickets during a benefit exhibition for the Johnny Mac Tennis Project. 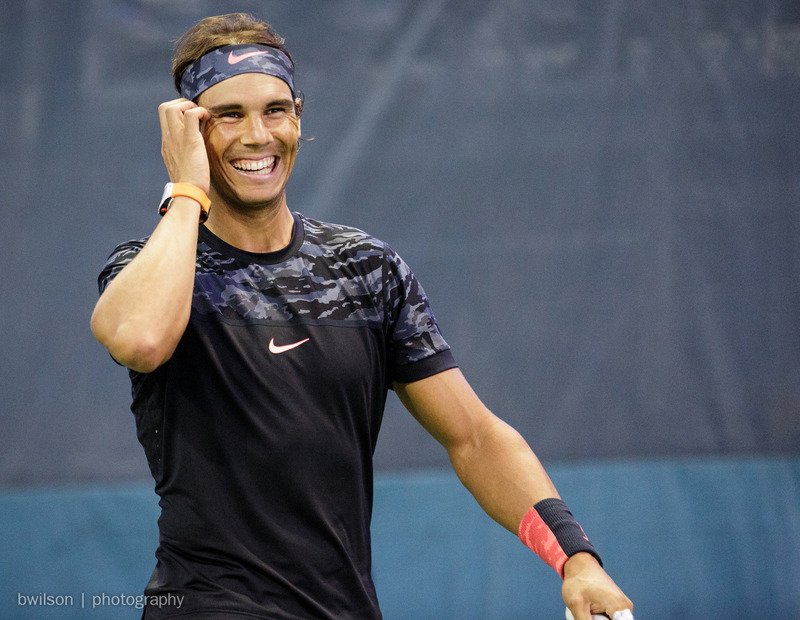 Rafael Nadal smiles during a benefit exhibition for the Johnny Mac Tennis Project.